At this rate, Stalin himself is going have a sudden illness very soon. Or, he will sacrifice himself heroically for the fatherland. The % chance of mud next turn is? No way the Soviets survive past summer of '42. 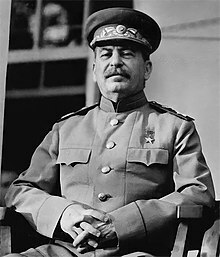 Stalin is very interested in a prognosis of the war in 1941, would you mind to visit him in Moscow to repeat what you said? I think I'll phone it in. Soviet ground losses this week are over 215,000 as approximately 20 divisions are erased from the Order of Battle. The main losses are from pockets of Western Front units near Bryansk. Leningrad falls at the cost of 33 German soldiers. The Soviet 90th Rifle Division retreats yet again, now into NW Leningrad to fight another day. The Leningrad Front itself is fighting as three separate elements, the 7th Independent Army in Eastern Karelia, the 23rd Army along the Volkhov and the 20th Army holding the line between the Northwest and Reserve Fronts near Torzhok. Northwestern Front and its six assigned armies try to hold everything else together in the north while another German pocket is threatening units in the region of the Valdai Hills. In the Moscow area, Reserve Front is reported to be about half strength, with 54th Army containing no combat units and 43rd Army with only two divisions and a brigade. Vietinghoff's 46th Panzer Corps, as part of the Moscow Offensive, drives 40 miles east to the outskirts of West Moscow. East of Orel, the Bryansk Front remains largely a shell while Western Front must protect the remaining factories at Tula. In the south, the Axis is cleaning out some pocketed units near Stalino. A makeshift line has been formed from new units of the Southern Front and N. Caucasus MD along the Don and Donets Rivers. The VVS remains under heavy pressure and even concentrating our units on a few bases is not stabilizing the situation. The Northwest Front manages to extract multiple divisions from an attempt to pocket them. Still, the Germans now have complete control over the Valdai Hills. Near Moscow, three panzer corps assist German 4th and 9th Armies driving east. In the south, the Axis forces have not yet arrived in force around Voronezh. In the air, the VVS loses 481 to the Axis 117. Air recon by the Luftwaffe remains exceedingly high, with 715 missions flown. There are 117 recon missions flown at Lodeynoe Pole alone, (which is enough to crash the game if you try and look at the details). In any other game that would have been a large pocket next turn. However there was quite some skill in the way the Soviets withdrew from their prior positions, and used features like the lakes and cities to the north and south, to make it impossible. So kudos to the Soviet team for that extraction this turn! Northwest Leningrad falls as its defenders, including the 90th Rifle Division finally surrenders. In the center, the Germans continue to push eastwards to drive the Red Army back from Moscow. In the south, the battle of Sevastopol begins with a failed Axis attack on the outlying fortifications. The Axis air forces launch 820 recon missions this week at the cost of 43 aircraft. Three weeks after the opening of the Saratov Tank School, the original 35 vehicles have some company. Mud conditions permeate much of the front. A few Fascist attacks in the north, some air missions from the Axis air forces but little else. Moscow remains in our hands for the moment. Many Axis attacks in this last week of good weather as West and North Moscow fall. A few small pockets created and one is broken near Voronezh. The enemy pushes south of Rostov but will not amount to anything serious due to the late date. The enemy pushes south of Rostov but will not amount to anything serious due to the late date. Still nice to get the extra army group HQ - and the cost free rearrangement of armies and Rumanian SUs. Status: online Lictuel, you are up for Turn 24. Status: offline Your inbox is full Lictuel you are up buddy! Snow is falling. Germans are active in two locations, near Vyshny Volochek and southeast of Moscow. The Red Army remains 30 miles from Moscow. Soviet manpower up to 4.66 million. German attacks continue east of Vyshny Volochek. Same in the south. Some bombing runs in the vicinity of Voronezh. Many air recon missions behind our lines. The Axis control the skies for the moment. Status: online In early December, Comrade Stalin signed the latest execution order, bringing the total to five. Other Soviet generals will hopefully take note. Status: offline Anyone ever managed to keep Pavlov alive? Status: offline Someone told me he did. It appears you can't just sack him, but have to get him enough wins to make him safe. Status: offline The real question is do you want to keep them alive? With low ratings you will be thanking Beria for getting a better replacement points free. I wonder if Kulik will get the chop? Status: online Here is some additional information on the state of the Red Air Force during the first seventeen weeks of war. Air losses from weeks 2-9 varied from nearly 500 to 850 per week. On Week 10, about 1,500 aircraft were sent to the reserves where they either suffered from morale issues or had an insufficient number of aircraft to remain combat capable. From weeks 8-11, the VVS suffered its worst weekly losses with over one thousand aircraft lost each week. Losses subsequently declined to average about half that from weeks 12-16. In comparing the fighter arm on weeks 6 and 17, the ratio of older I-type aircraft to next-generation airframes remained consistent, at about 2-1. By week 17, the reserves of I-type airframes had largely been exhausted. Using a standard of six fighter regiments making up one fighter division of 120 aircraft, the VVS was unable to field four full modern fighter divisions. It was therefore decided to withdraw the force for a significant rebuild. Status: offline It's januari 1942 in my game as the Soviets. Lost both Leningrad and Moscow. Mild blizzard, so not really much ground taken back. But Pavlov is alive and kicking and still in command of western front. The Red Army moves into position for the opening of the winter counter-offensive, code named Operation Polar Star. The front organizations have all been brought into line with a standard of four armies in each. The VVS will be largely unavailable as it continues the rebuilding effort. All ground commanders have been advised they will still need to push on with the operational objectives regardless. As part of Polar Star, the first real effort will be made to build a core professional army of strong combat units. There are three guards rifle divisions at the start of the winter campaign. The intent is to have considerably more by January. The Northwest Direction focuses its effort on a move in the direction of Staraya Russa, south of Lake Ilmen. The Western Direction must make an attempt to re-take Moscow, but there is an understanding due to the relative strength of the opposing forces, that this plan may need to be altered. A simultaneous move in the general direction of Tula-Orel-Kursk is also intended. Finally, the Southwestern Direction that has no mobile formations initially, will make a general advance westwards where possible. There will be a number of cavalry corps forming in the following week to assist the advance, while a limited number of tank brigades are also committed to the offensive. The majority remain training in rear area military districts. This will reduce truck losses as we advance into areas that do not have functional rail lines. Operation Polar Star is under way. Attacks are taking place across much of the front. The city of Rostov greets their liberators of Marshal Budyonny's Caucasus Front. Marshal Budyonny, Hero of the Soviet Union, leader and fighter during the great civil war against the "Whites" and true friend of Comrade Stalin. I prefer the second instrumental version. Be honest, after watching the send part of the video, who wouldn't like this guy as your uncle or something? Status: offline I'm a bit surprised to see no guards divisions, although the OOB of the Soviet army is healthy enough i believe for an effective winter offensive, although the red airforce seems to be suffering. Hopefully operation Polar Star meets its objectives. I'm a bit surprised to see no guards divisions, although the OOB of the Soviet army is healthy enough i believe for an effective winter offensive, although the red airforce seems to be suffering. Hopefully operation Polar Star meets its objectives. We have started with three guards divisions. One is in the fortress city of Sevastopol and the other two in the north. Soviet ground attacks intensify across the front in this second week of blizzard conditions. The high casualty count attests to the dreadful price the Red Army must pay for success. In looking closely at the combat losses, we see many elements destroyed outright by the innocuous German 5cm mortar. It was thought to be primarily a weapon of suppression, but in these conditions at least it appears far more dangerous than imagined. Six new rifle divisions were awarded guards status this week, bringing our total to nine. Roleplaying is one of the things that makes team games so interesting, and since november 1941, this has greatly increased. Since this aspect hasn't been mentioned much so far, I would like to expoud how it looks like. Usually, the STAVKA issues orders once per game turn, but sometimes there are also special wishes from Stalin himself, and you better fulfill them if you want to keep your head. When the front commanders have played their turn, they write a short report updating all other commanders and the STAVKA what has happened and requesting additional resources or minor changes in organisation. For changes in doctrine and overall strategy, front commanders distribute memorandums, which are then discussed by PM or on discord. It is a great way to learn from each other, so we can improve the way we wage war against the fascist invaders. I am not authorized to share some examples of this with the public, but it will surely be a rich source of information for historians one day, and maybe the STAVKA can declassify some examples even now.